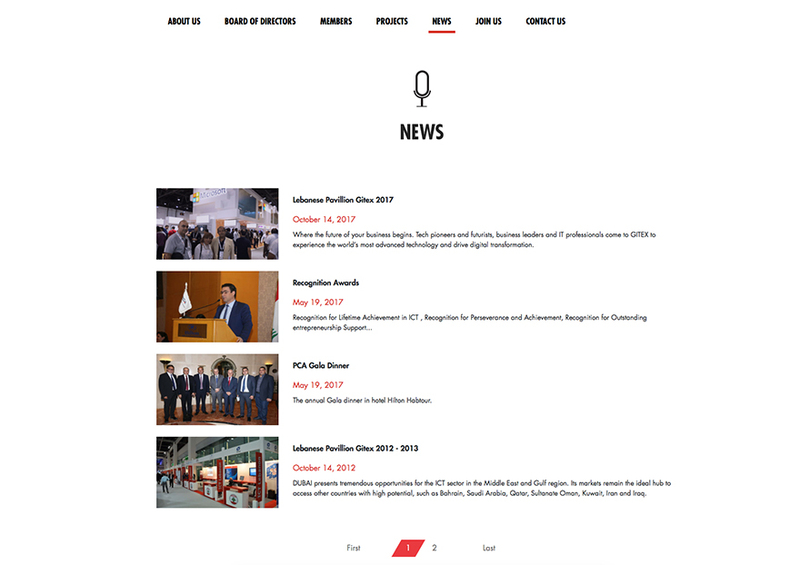 Established in 1996, the PCA is a platform for ICT companies based in and operating from Lebanon. PCA has gained international recognition and regional momentum through its active participation in task forces and workgroups. PCA's web design aims to inform the user about the ICT platforms and information needed in an easy and direct way. The website offers a smooth visitor experience.